We are proud members of the ATRA Association(Automatic Transmission Rebuilders Association). We have an in-house transmission technician who is extremely qualified in all aspects of every kind of transmission. Test drives are always FREE, so come on by for a qualified expert opinion. 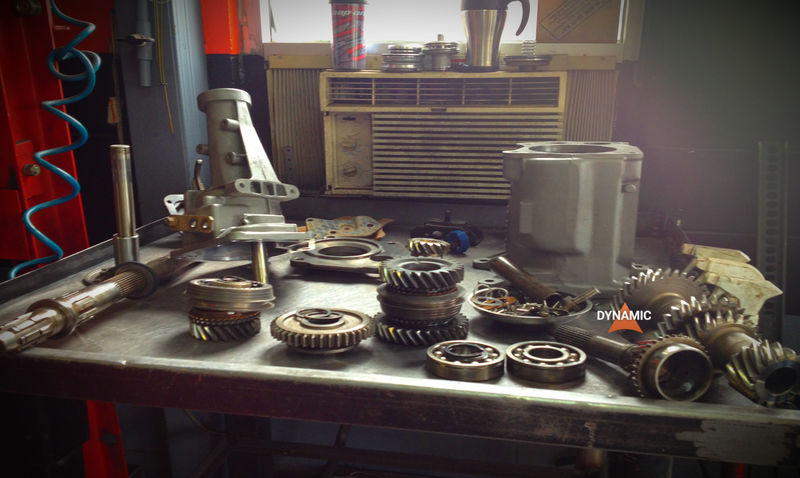 Some of the parts in the Gear Box of a transmission. A transmission is what changes the gear of an engine, thereby transferring the engine’s power to the wheels with the purpose of moving the vehicle ahead. For a vehicle with manual transmission, you’ll start in first gear, gain some speed, then shift to second gear and build some more speed etc. With an automatic transmission, the same process is applied with the assistance of a ‘torque converter’, which automates this acceleration and gearing process. The transmission plays a vital role for your vehicle. While the description of what a transmission does is simple, it contains hundreds of components working together to move your vehicle. The transmission fluid inside enables cooling and lubrication, helping transmit force & pressure and also preventing build-up. By changing the transmission fluid on a regular basis, the fluid stays clean and will keep the transmission running smoothly. Old and/or dirty transmission fluid can lead to problems such as loss of acceleration, difficulties in gear shifting, and in worst-case scenarios total transmission failure. 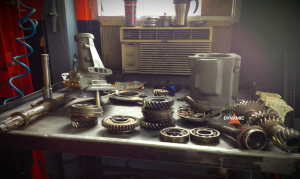 As stated, it is important to properly maintain the transmission.